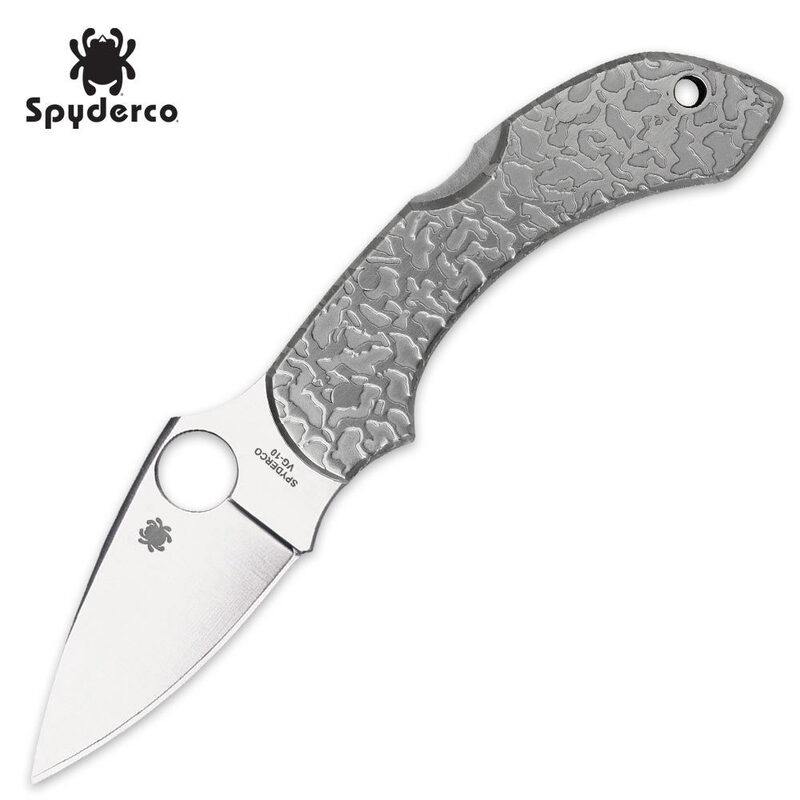 Spyderco® Dragonfly Stainless Steel Plain Pocket Knife | BUDK.com - Knives & Swords At The Lowest Prices! The Spyderco® Dragonfly folder is a high quality folding knife that makes for the perfect gift! The 2 1/4" VG-10 flat ground stainless steel blade is leaf-shaped with a razor sharp cutting edge. The smooth, flat handle surface makes this knife ideal for engraving for those special men in your life. Includes a three-screw metal pocket clip for tip-up carry.